Be sure to check out our Guest Post on Life in Yellow that debuted this week on our Top 10 Tips for Planning the Perfect Party! Deciding on a particular theme may be hard to nail down at first, but after you do, it will make the planning process much easier. When I am choosing a theme, I really look at why I am throwing this party in the first place. 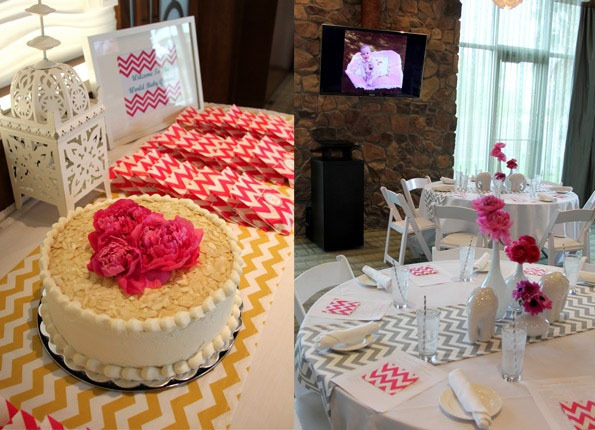 A theme can be as easy as colors, patterns or style, like this Kentucky derby wedding shower. Make sure to check out the rest of our Top Ten Tips for Planning the Perfect Party!